Personally, you should relax, have fun, and share things that make you happy. Professionally, you should impress the people who could one day make or break your career. Much like in unhealthy high school romances, everything you post will be superficially scrutinized. Aspiring but not-yet-signed models often already know this, and while not able to do actual modelling work yet, may take to social media to prematurely cultivate a brand. As such, we frequently come across well-meaning young ladies and men who are woefully unaware of the mistakes they are making. A+ for initiative, but let's see if we can't help you out a bit. Being signed by an agency and starting out in the fashion industry is really exciting for many new models. Although it’s exciting, many models may also feel overwhelmed because they are unfamiliar with the business and how it works. 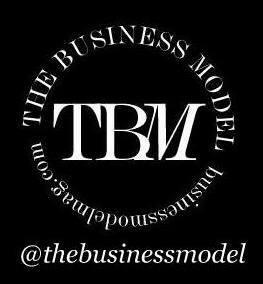 We at The Business Model have developed this guide to help new models get acquainted with the industry. Although the fashion industry is showcased as being glamorous and fun, there’s a lot of hard work that goes into becoming a successful, working model. Since the business is always changing and unpredictable, it’s important to prepare yourself for these changes as best as you can. The guide will help new faces develop a better understanding of the modelling world and what to expect. For most of us, modelling isn't a viable long-term career. For many, aging is a career-ender. Others simply crave more financial stability. For most, career prospects outside of modelling become more appealing. Whether applying for part-time work to supplement modelling income, or looking for a job after leaving modelling entirely behind, all models are faced with a question: "Should I put 'Model' on my resume?" The Chinese modelling market is changing and with it has come a new set of poses for models to learn. Five years ago, clients in China liked when models would do "big poses" to show off the client's clothes as well as to showcase their posing abilities - bigger was better. Today, clients and studios have begun to change direction in what I argue is a positive and progressive move for Chinese fashion. Casting outfits can be tricky. Choices and restrictions abound at once. A client has to be able to see your figure, but also your personal style. Your brand as a model must be clearly articulated, but you also have to be able to navigate through Manhattan quickly, comfortably, and without sweating through your crop top or falling into a snow drift. As part of our Spring/Summer 2015 fashion month initiative, we invited our readers to submit casting selfies, and we're keeping it open for the F/W 2015/2016 show season! It's the most wonderful time of the year! Or perhaps the most stressful time of year. For all the twinkly lights and delicious food, the holiday season come with it's share of anxiety. Family gatherings can bring up baggage, pressure to spend can rack up debt, and if you aren't spending Christmas, Chanukah, Kwanzaa, winter solstice, or New Years Eve with the people you love, it can be a very lonely time. We can't help with these problems. We can, however, offer you some levity with our annual gift guide. Our editors Natalia Zurowski and Jasmine Chorley Foster are joined by Beauty Editor and make-up artist Julia Stone, women's booker at Lang Models (Toronto) Sandra Tipei, and photographer Brian Ypperciel, to share in the joys of receiving, giving, and wishing. Cozy up with a hot chocolate, get to know us a little bit better, and shop along with the links throughout. Even if you live in or near a big market, tear sheets are usually hard to come by for a new face. In big markets such as New York, and small conservative markets such as Toronto, tear sheets are almost always necessary for a model to book jobs - especially lucrative ones. Fortunately, there are a lot of markets where models can go and build their portfolios.